The Grovely Forest Rights. Wishford Magna, Wiltshire 1974. 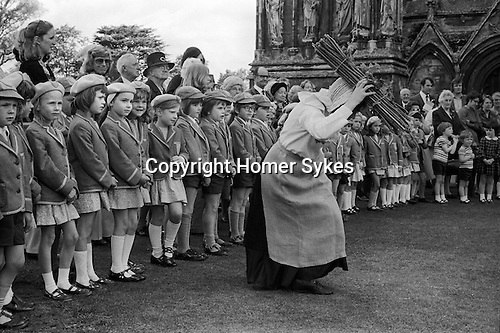 The right to collect wood from the Grovely Forest is celebrated each year on 29 May outside Salisbury Cathedral by villagers from Wishford Magna who perform a dance carrying ‘nitches’, bundles of dried wood on their heads.